Taking a break from our intense multiplication study, we’ve moved on to a new topic — angles. With living math, I do use our Singapore textbook. I browse through it to find another topic to study. (grin) Actually, I do have Sprite do a workbook exercise now and then. I find that in planning living math activities, I often have to reverse engineer the workbook exercises. I look at the problems and ask myself, “How can I convert this skill or concept into a hands-on or real problem solving activity?” And that’s where these activities came from. First of all, I knew that the entire concept of degrees was important. Sprite needs to understand what an angle is and that it can be big or little and that the size is measured in degrees. 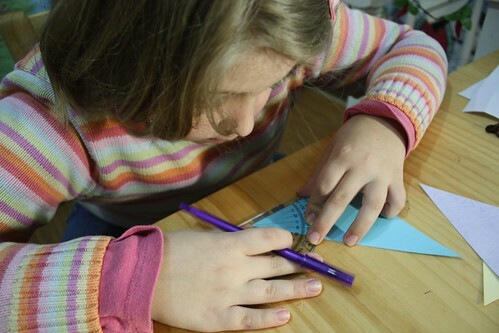 The angle maker is simply two strips of cardstock connected at one end with a paper fastener. 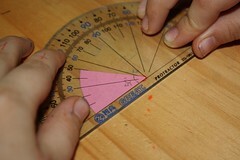 Using these two tools together, we arranged the angle maker in various positions and measured the resulting angle, approximately, with our protractor. We did this for a couple of lessons so that Sprite would get a feel for the sizes of angles — a 20° angle is tiny and a 280° angle is big. A 100 ° angle is a tad larger than a right angle, and so on. Then come the bits of paper. 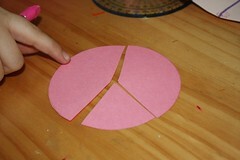 (It seems we can’t do a math activity without loads of cut up paper.) 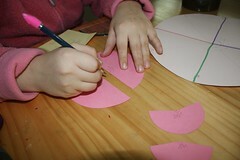 I used some scrap paper to make circles. I made sure to mark the center with a pen so Sprite could cut out angled sections. 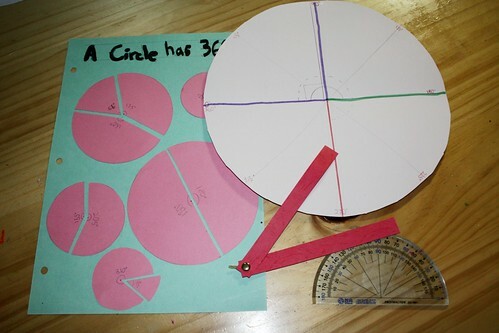 Some circles were cut in two pieces, others in three. Then she measured. First I asked her to estimate visually the degree of angle. Her skill at estimating got better and better. 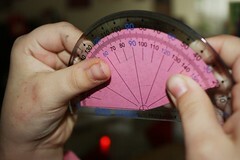 Then I had her use the homemade protractor and then the official one. 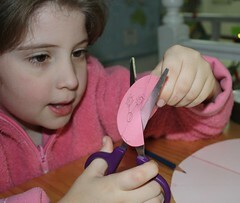 I had her label each angle with its measurement. 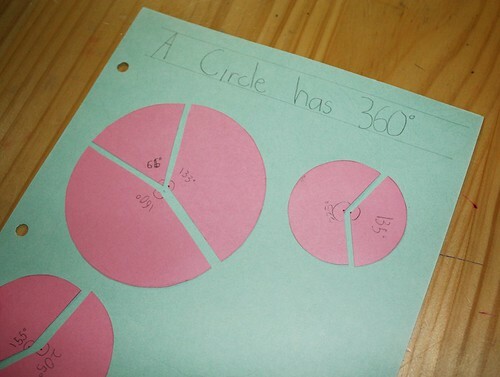 And then we verified the rule that each circle has 360° by adding up the total of the angles. It worked each time! Of course. 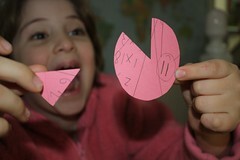 But letting a child discover rules rather than dictating them is a halmark of living math. It all made its way onto a notebooking page. I gave Sprite some triangles and asked her what she thought we’d find when we measured the angles and totaled them. 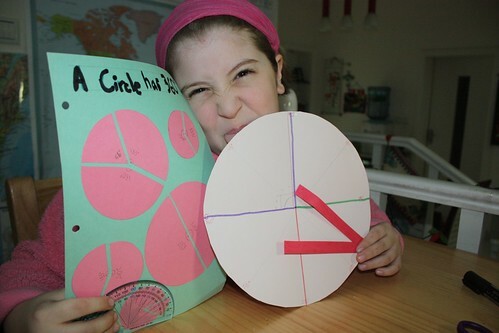 She wasn’t sure, but she felt certain it wouldn’t be 360° like the circles. 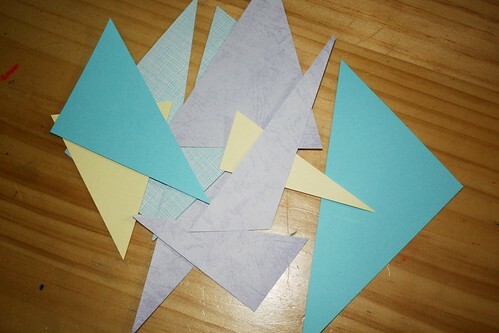 Oops… she ended up with several triangles whose angles totaled over 180°. She somehow sensed that 181° and 182° must be wrong and that the triangles that were measured at 180° must be correct. It actually was easy enough to go back and remeasure and find her small errors. It ended up that some of our “right angles” were not actually 90°. 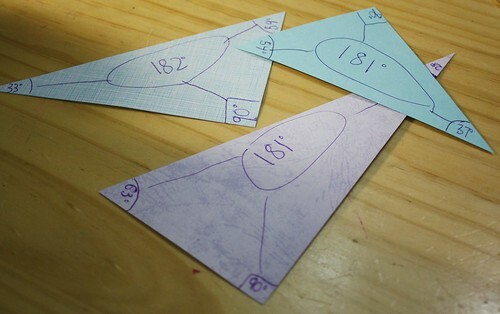 We corrected the measurements on the backsides, and put a few sample triangles onto a notebooking page. Just to be clear, these angle lessons were spread over about a two week period. Interspersed in with these hands-on activities were some workbook exercises and at the end I used this BBC worksheet as an overall wrap up. Great Ideas! I love to see how you put things into action. I did teach the names of the angle types. We used word association: 90 degree (Roight angle) He’s an ‘upright’ kind of guy. Acute – little, tiny baby angles….awwwww, cute! and, while it’s not politically correct – big fat angles , Obtuse, are obese. It works well for him. He actually gets a kick out of saying Awwwwww, cute in his best ‘talking to baby’ voice. .-= Tammi K´s last blog ..A Little More Music (Part 2) =-. 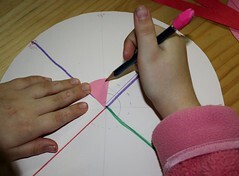 @Tammi — Great ideas for learning the names of the angles! And anything that makes it FUN is a winner in my book. Love this Jimmie! 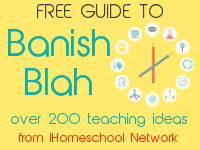 I will be using this w/ my kids for sure! .-= Maureen´s last blog ..So much to blog but not enough time =-. Anyway, I LOVE, LOVE, LOVE this post!!! We will definitely be doing this. I think it might be a great way to do math as it gets harder & harder to do school with Christmas approaching. THANKS for posting!!! .-= Dana´s last blog ..Dickens on the Strand =-. 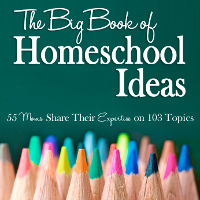 .-= Kris @ Weird, Unsocialized Homeschoolers´s last blog ..Happy Birthday, Buddy! =-. 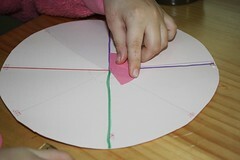 .-= Nadene´s last blog ..New Sonlight Stone Age Lapbook and Hands On Activity Page =-. 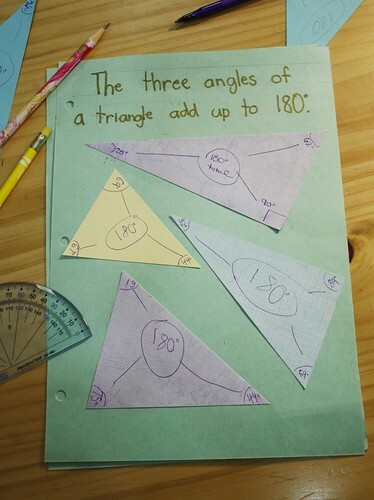 I can remember doing similar projects with my boys years ago…great way to learn about triangles and angles and using a protractor and compass. 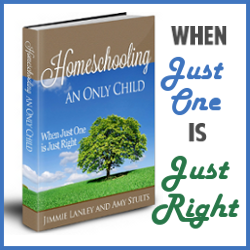 This would be a great entry for the Hands-On Homeschool Carnival as well which I am hosting on Monday…hint, hint. .-= Barb-Harmony Art Mom´s last blog ..Winter Birds – So Lovely =-. 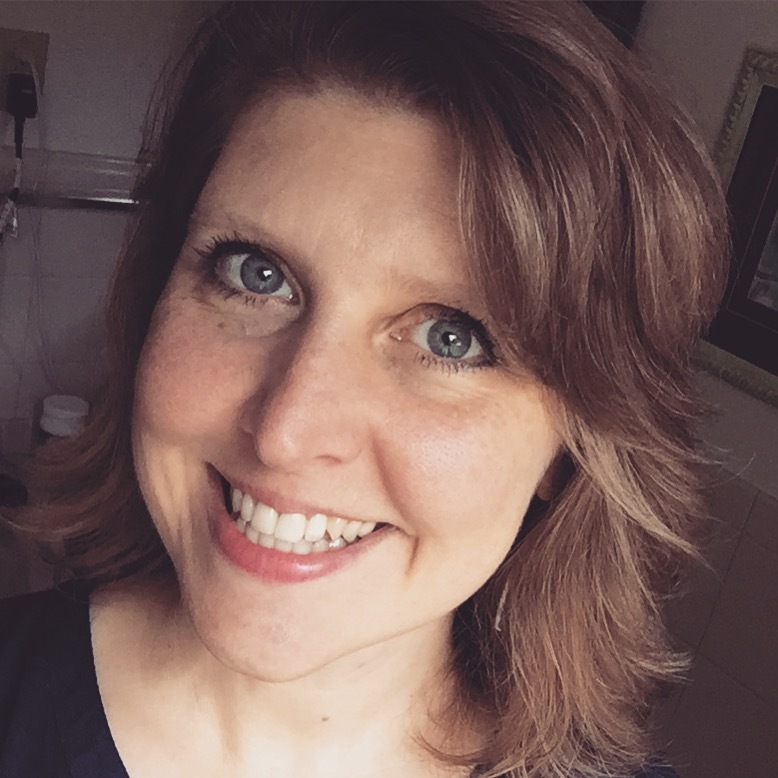 .-= Angie´s last blog ..Lord, I am so Thankful! (Gratitude Community…1000 gift list cont’d) =-. .-= Cindy´s last blog ..Christmas Train Ride =-.